Due to the numerous emails, comment questions, and some unfortunate mistakes made when purchasing clear top coats for garage floor coatings, we have decided to post this article to help clear things up (no pun intended). Our objective here is to prevent some of the confusion, disappointment, and poor results some people have encountered when choosing a clear coat. As a refresher, clear top coats have many advantages when applied to a garage floor coating. Besides creating a nice, semi-gloss to glossy finish to your color coat, clear coats lock-in and protect the color flakes and act as a sacrificial layer that protects the underlying base color coat. The problem, however, is that some people are unknowingly purchasing the wrong product, poor product, or trying to apply a clear coat to paint. The first mistake is purchasing latex acrylic garage floor paint or 1-Part epoxy paint for your garage floor with the intention of applying a clear coat to it. Paint for concrete is designed as a one-and-done product. Technically, paint is not a coating. Unfortunately, marketing practices by the large companies that produce these products intentionally do not make that very clear, especially when they call it epoxy paint. Coatings actually seal the concrete of your garage floor while paint does not. Read here for more information about the difference between paint and coatings. The main reason that most clear coats will not work with paint is because the majority are solvent based or has some form of solvents in it. The moment that you apply it to your water based latex garage floor paint, the paint can soften and sometimes even bleed into the clear as you are applying it. Technically you can rough up the surface of latex paint after it has dried and apply a water based epoxy clear to it. The issue though is that it doesn’t make much sense to do so in most cases. Water based epoxy clears are generally three times more expensive than paint. If you are going to spend the money for an epoxy clear coat, you should also apply an epoxy coating to the concrete initially and not paint. Some of these paint companies do offer an acrylic clear that can be applied to paint. Do not use it! These acrylic clear coats are water based and inferior for garage use. They are designed for foot traffic such as patios and walk ways. They will soften, smudge, and peel the moment you spill any gasoline or brake fluid on it. Most petroleum based products such as oil or transmission fluid can cause it tor break down if it sits on it for more than a small length of time as well. Unfortunately we have seen some online vendors of actual 2-Part epoxy garage floor coatings offer what they call a “clear glaze coat” for a clear coat. This is an acrylic product as well and people often complain of the poor performance. Again, we recommend not to use it. With some exceptions, home improvement centers and hardware stores do not offer the proper clear coats for concrete coatings. They do a good job of carrying the traditional DIY epoxy garage floor kits, but most do not carry the manufacturer’s optional clear coat to go with them. Rust-Oleum EpoxyShield and Quikrete are good examples. You generally need to special order the clear coat from the stores or purchase them from vendors on line. We have noticed that this trend is slowly changing however. Home Depot, for example, has started carrying RockSolid’s new Polycuramine garage floor coatings and some sell the optional clear coat to go with it. Lowes sells the Valspar line of garage floor epoxy kits with the optional clear epoxy as well. What they don’t carry at all is the commercial quality polyurethane and polyurea clear coats as well as the high solids commercial quality epoxy clear coats. We suggest reading our article on how to choose a clear top coat to get a better idea about the difference in clear coats and which type may be best for you. As a rule, home improvement centers in general are not the best place to start your search and gather information for garage floor coatings. While they may have the product that you ultimately decide is best for you, do not rely on the information that they may provide. This article will help to explain why. This is an unfortunate mistake that we’ve received quite a few emails about. While we applaud the fact that these people took the time to research and learn that polyurethane has many advantages over epoxy, they didn’t take the time to read the product label of the polyurethane that they purchased and applied to their garage floor coating. Can you guess where these polyurethane coatings were purchased? You got it — home improvement centers and hardware stores. The polyurethane we are referring to are the water based and oil based polyurethane for wood floors and furniture. Varathane and Minwax are good examples. This type of polyurethane is not compatible with epoxy and certainly not compatible with concrete for that matter. If applied to epoxy during the recoat window, you will end up with a yellow tinted mess that you will need to scrape up off the surface. If you are lucky, it will not have contaminated the epoxy color coat in the process. Where Can I Buy A Clear Top Coat For My Garage Floor Coating? If you want a clear top coat and are thinking of purchasing a traditional garage floor epoxy kit from a home improvement center, verify first that the clear coat is available from them. If not, here are some epoxy clear coat examples from Amazon that are available. The higher performance clear coats such as polyurethane and polyurea are generally purchased through concrete coating vendors online. Many of our sponsors are good examples. These vendors specialize in concrete coatings and carry a wide variety of quality products. They specialize in garage floor coatings and are a great source of information as well. Sherwin Williams is another source if you are looking for a brick and mortar store to purchase from. They won’t sell their best commercial quality product to the general consumer, but they do carry some good quality epoxy and polyurethane coatings for residential use. The reason you will not find commercial quality epoxy and clear coatings at home improvement centers and hardware stores is for the simple fact they require some attention to detail to apply properly. They cannot provide the type of assistance and information required for applying these types of coatings. Most kits offered by major retailers are designed to be easily applied. This is why the quality isn’t the best when compared to product offered by the specialty vendors. If you are considering a particular type of garage floor coating and are unsure about your clear coat options for that product, take advantage of the toll free number that the manufacturer provides and ask for assistance. Stay within the manufacturer line. For example, if you apply a garage floor coating by Rust-Oleum, then the Rust-Oleum clear coat will work with your coating. This insures that you will not have any compatibility issues with your clear top coat. If you opt for a higher performance clear coat such as polyurethane or polyurea, contact the vendor you are interested in and ask about compatibility. If you are considering the higher performance garage floor coatings available from online vendors, take advantage of their knowledge and experience. Give them a call or email them for information. They can help qualify you and provide options based on your needs. Plus, they are great for assisting you with questions about application and concrete preparation. Finally, if you ever have the slightest doubt about your clear top coat options, compatibility, or application, make sure to seek help from the vendor or manufacturer before you make your purchase. That way you are insured a successful outcome instead of a poor and potentially costly experience. I am using Rustoleum Professional epoxyshield for our garage floor. It’s a three car garage and the cost is really adding up. 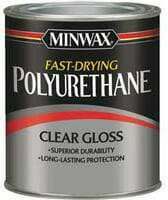 I am looking for a lower cost clear coat to use instead of the Rustoleum epoxy clear coat as it is really pricey. Is there another brand that I could use that would work? Or maybe the Rustoleum concrete sealer wet look as it is a third of the cost of the Rustoleum epoxy clear coat. Maybe a lower cost Polyurethane product instead? Hello Sara. The Rust-Oleum clear is about as cheap as you are going to find. One thing you do not want to do is try to save money on materials when doing a garage floor coating. You get what you pay for and will regret it after it is done. The Rust-Oleum concrete wet look sealer is a water based acrylic and we do not recommend it. It’s much thinner, it will scratch easily, it will not cover the optional color flakes very well, and it will soften and create a mess if exposed to solvents such as gasoline. It’s more for foot traffic such as walkways and patios. Hello Clayton. Hot tire pickup is when the tires pull up chunks of the paint where they were parked after the tires have cooled down. If that is what you are experiencing, then a clear epoxy coat will not help. Paint is thin and does not adhere as well to concrete as traditional epoxy does. The paint will still peel up from the concrete no matter what you put on top of it. I am going to do the Rust Oleum Epoxy Shield to my garage floor this weekend, brand new floor about 2 months old. How long after i apply the epoxy shield should i wait to do the Rust Oleum Clear Top Coat. Hi Jason. You need to wait a minimum of 10-12 hours, weather dependent, before you can recoat. Press your thumb to the coating and if it doesn’t leave a print then it will be ready. You generally have a recoat window of 48-76 hours. After that, it requires deglossing the coating by roughing it up with 120 grit sandpaper before applying another coat. Hello Ronnie. We had already answered this question for you when you asked in the comments section of this article here. Just scroll down and you will see it. Hello I just put on my exterior patio the rust-oleum decorative concrete coating slate color and sprinkled the decorative color chips but would like to seal the chips down with a gloss clear coat. Which clear coat can I use? Hello Eddie. The Rust-Oleum Decorative Concrete Coating is an acrylic textured coating. It’s designed as a U.V. stable coating that will provide slip protection. We checked the data sheets and it is not designed to have color flakes added, nor a clear coat. You might be able to add one of their acrylic clear coats, but keep in mind that if you do it will loose some of the texture that provides anti-slip protection. We suggest giving Rust-Oleum Customer Service a call or email and ask them. Hi Wendy. What is the exact name of the clear you applied? Just last week I applied two coats of dark grey Rustoleum Professional, followed by a coat of Rustoleum Clear. After reading your awesome website I found out that the Rustoleum clear isn’t UV stable. There is about two inches of the garage slab that extends outside the garage door that will get sun daily. I called Rustoleum for a UV stable solution with little help. Can you recommend a Clear coat I can apply that will protect all the hard work I have invested in the floor so far. Thanks for your time and the great site! Hi Tony. There are clear coats that are U.V. stable, but they are not going to solve your problem. Though these U.V. stable clear coats will not amber, they will still allow some U.V. light through the coating (because it is clear) which will cause both the Rust-Oleum clear and color coats underneath to amber. Your best solution is to just live with the small strip outside the door that will amber. Another option is to rough up that section with some 100 grit sandpaper and color match with a good concrete floor paint (no, you can’t clear coat it). Concrete paint is an acrylic latex and will not amber. Because you will only drive over that strip and not park on it, it will hold up fairly well. Plus, it’s not difficult to repaint it if necessary. Thanks so much! I’ve learned so much from your website and from doing my first floor! Hello Robert. Epoxy is for indoor applications and is not a good choice. It will amber very quickly in those conditions and even begin to chalk up after a while. Other than the once a year water rise, does the slab ever get damp from moisture underneath? If so, then a coating is not a good choice at all. However, if that is the only time moisture is an issue, then a single-part polyurethane such as DuraGrade Concrete or a single-part polyurea would be the better choices. These types of coatings are U.V. stable and will not amber or chalk in the sun. Hello I own an automotive repair facility with a high volume of repairs in and out daily. I’ve been working on a new concrete section and refinishing old sections since just before Christmas eve…used a surface grinder to smooth floors and clean to accept epoxy coating. I went with Drylok E1 as recommended and purchased by the person doing the new section of concrete. Meticulously surfaced every area needed, used a degreaser twice, pressure washed and thoroughly removed any bit of dirt concrete dust and moisture. Applied the epoxy today and its drying to much less glossy and smooth easy cleanup surface than what I expected from using other epoxy products in the past. Is there a specific clear that I can use with the Drylok E1? Or definitely no clear on this product? Help! Haha I need to finish this project in a certain time frame in order to resume business after new years day! Thank you! Hi Nick. Yikes…. Unfortunately DryLok is not a product that you want to use in an automotive repair facility. It’s not an epoxy, but a 1-part epoxy paint. 1-part epoxy paint is a latex acrylic concrete paint with a little bit of epoxy resin added to help it bond better and increase durability over standard paint. It cannot be clear coated either. This article here explains the differences between paint and epoxy. What you really need is a commercial quality, multi-coat epoxy system to provide the durability that you need. DryLok is OK for a residential garage that is mostly used for parking vehicles. I don’t see this question. Can I use a liquid floor wax over cured 1 part Behr epoxy garage floor paint? I have been successful doing this over two part water base epoxy. The floor wax is Holiday House and is widly used. Behr doesn’t have an answer. That’s a great question, Dennis. Floor wax is often used indoors on sealed coating such as acrylics, epoxy, polyurethane, and etc. Acrylic paint, however, is not an actual sealer. After inquiring ourselves the general consensus is that it should work, but it would be wise to test it first in an inconspicuous area. Hello. Several years ago I put down a Shield-Crete epoxy floor with chips in my garage and used Armorseal Rexthane I floor coating to protect it. I’ve been happy with this product; however, the Rexthane has gotten so expensive (I’m not a contractor) that I’m looking for a cheaper alternative. We keep two cars on the garage floor and live in the Las Vegas area so the garage can get extremely hot in the summer.. Any assistance would be appreciated. Hello Timothy. The ArmorSeal Rexthane 1 is a single-part moisture cured polyurethane. It’s a higher performing clear coating that is U.V. stable (will not yellow tint), with higher chemical and abrasion resistance than epoxy clear coats. You can save money with a lesser expensive water-based clear epoxy from one of your local home improvement centers, but it will not provide the same performance characteristics, it won’t be as glossy, and it won’t be as water clear as polyurethane. You really do get what you pay for with concrete coatings. We aren’t sure what the cost is for Rexthane 1 in your area. You may want to compare it with this moisture cured polyurethane here. It’s actually has higher abrasion resistance ratings than Rexthane and it may cost less. Just remember to properly prep the surface of the old coating before you apply a new one. I’m finishing a basement apartment with polished concrete, and I would like to put a shiny clear coat on it. What would you recommend? Would a 2 part epoxy clear coat adhere to the polished concrete (without any other pre-coating)? Or should I stick with the regular acrylic sealers? Hello Fernando. Polished concrete cannot accept traditional coatings such as epoxy or acrylics. The surface is ground too fine and smooth (polished) for the coatings to penetrate and adhere. The only product you can apply would be a type of penetrating sealer called a stain guard. These leave a very thin film on the surface of polished concrete and generally need to be burnished with a high speed buffer after they have been applied, though there are exceptions. 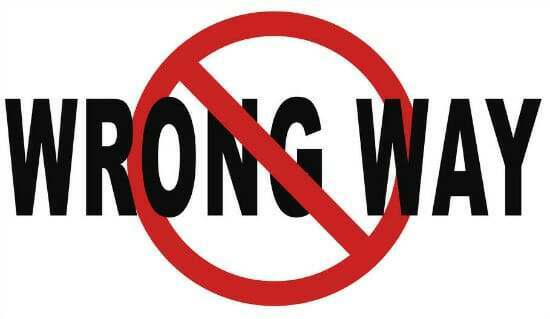 Unfortunately we just made this mistake. The floor is not white in spots like a fog- what do you suggest we do to fix this? Apply something different on top? Repaint over that clear coat? I don’t recall the name of the clear coat we used and the empty jug went out with the trash the other day. Hello Samantha. In order to help you fix the issue, we would need to know exactly what products were applied. Did you use paint or a coating to begin with and what was the brand? What type of clear product was used? Also, what do you mean when you state that the floor is not white in spots? I meant the floor is now white/ cloudy in some spots. OK, so you used paint and not epoxy. 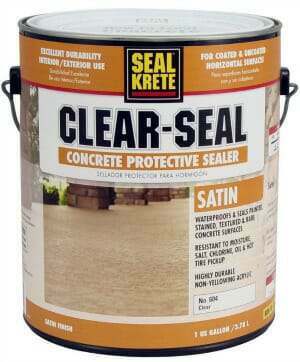 Just to be clear, Seal-Krete is an acrylic paint that has a little bit of epoxy resin mixed in, also known as 1-part epoxy paint. We are guessing that you used a water-based acrylic clear coat. White spots indicate that those areas of the coating are not adhered to the floor. This can happen for a variety of reasons. The humidity could have been high with thin films of condensation on the paint in places, the paint could not have dried all the way and released moisture under the coating, or it could have been applied too thick in those areas and moisture in the coating (water-based) that evaporates when it dries got trapped. To fix this you would need to sand out the white spots down to the pain and apply a new coat of clear over those areas. Thanks very much for the quick reply. I guess you wouldn’t recommend something like PROSOCO PolishGuard then? I was also thinking of Sherwin Williams Clarashield wb? My floor doesn’t seem as finely polished in some areas compared to others. The Prosoco product is exactly what we are referring to, Fernando. It is a stain guard, low solids penetrating sealer that is designed to penetrate very smooth and polished concrete. It leaves a very thin film/residue on the surface that technically is not a coating, though some manufacturer’s will use that terminology. If you read the application instructions, it does recommend occasional high speed buffing to keep its shine. The ClaraShield product will not work. It is not a stain guard. It is a higher solids acrylic coating that will not penetrate or adhere to very smooth or polished concrete. It is designed for standard concrete finishes. Hello, just had new slab poured for a 40×30 garage, building is going up this week being a steel structure. Have been considering Rustoleum Rock Solid for the epoxy. Just had one of the concrete guys say that it will need a clear coat also, is this true or only for the lesser epoxy coatings? Hi Keith. Applying a clear coat is not mandatory, but it is recommended if you want to protect the color coat. We explain the benefits of a clear coat here. We also have a review of RockSolid here.